Discussion in 'MLB' started by AJ_II, Oct 23, 2008. Probably my earliest sports memory, I was just 9 years old at the time. One of only two walk-off home runs to end a World Series, the other being Bill Mazeroski in 1960. Philly is hoping this World Series ends a little better. Would have been a lot better if it wasn't the Jays. I don't think Mitch (Wild Thing) Williams was ever the same after that. There have been two pitchers that I know of that died early in life after giving up a big history making hit. Donnie Moore gave up the big home to Dave Henderson in game 5 of the American League playoffs. The pitcher who gave up the hit to Pete Rose to break Cobbs record. Nope, he sure wasn't. The Astros traded for him after that '93 season...he pitched one year in Houston and was, to put it nicely, less than stellar. 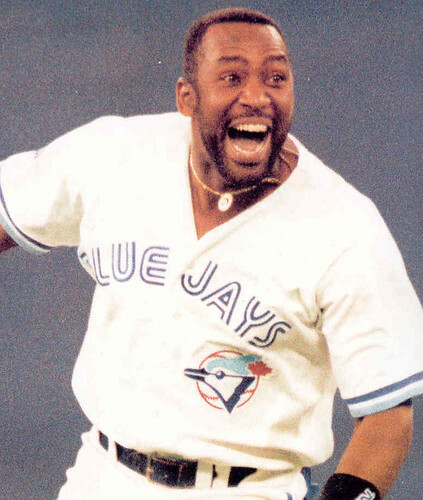 I think Joe Carter still haunts his dreams.